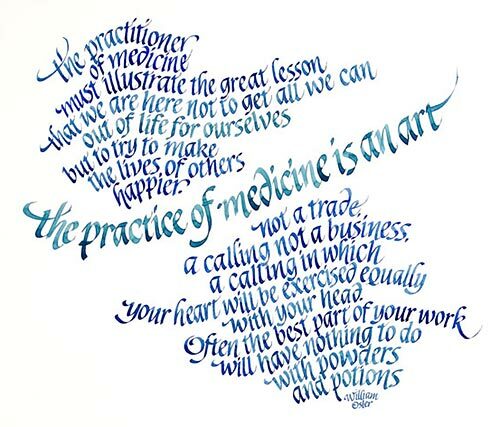 A print of William Osler's words on the practice of medicine can be purchased for $35 plus shipping (international shipping available). The print is 10" wide and 8.5" high and is suitable for framing. If you would like to order a print for your office or to give as a gift, please contact the artist, Elaine Adler, at scribe~AT~elaineadler·com.